St. Mark’s Bookshop is the one of the last booksellers in the East Village. 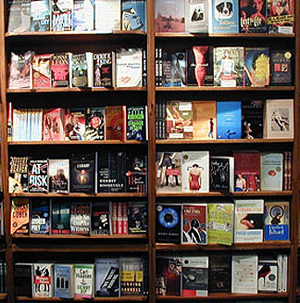 Since 1979 it has been famous for its collection of fiction, poetry, and criticism. With just 2,700 square feet, it always manages to stock the best new books and literary magazines—things that would get buried in a less selective store. Pace the Bloomberg newswire, you could find most of these things online. But first you’d have to look—and St. Mark’s teaches you what to look for. The staff don’t just select the stock, they proselytize on its behalf and, in their small way, help hold the neighborhood together. Once a friend of mine went up to the information desk and asked the clerk to restore his faith in the contemporary novel. Another time, another friend asked where to find flowers on a Sunday. Both left satisfied. That’s the kind of store it is. Now it seems St. Mark’s Bookshop may close—not for lack of customers, but for the same reason that the East Village lost its Ukrainian diners: if you’re selling pierogi or paperbacks, it’s hard to make $20,000 every month in rent. The owners of St. Mark’s have asked the landlord—the Cooper Union—to lower that rent by $5,000. Friends of the bookstore have circulated a petition and have gathered some 40,000 signatures supporting this request. We at The Paris Review have a stake in St. Mark’s Bookshop: the store sells between 150 and 200 copies of each issue of The Paris Review. That’s more than we sell in most cities. It’s more than we sell off our own Web site. Magazines like The Paris Review need good bookstores, where the staff knows how to spread the word about good writing, face to face, hand to hand. To our way of thinking, New York needs bookstores, too, or it will no longer be New York.